When you are experiencing problems with your gutters, please call our company and get professional help from our experienced and very diligent technicians. They will come and take care of this job for you, plus they will bring the necessary equipment. Our gutter cleaning service is being performed by our trained expert technicians and they use the best professional equipment. 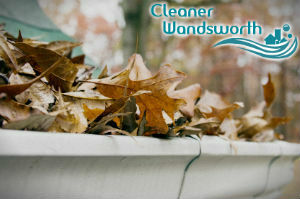 We invite you to call us now and book our service, our technicians are unrivalled in SW18 Wandsworth in gutter cleaning. You will not regret your choice, we guarantee it. Trust our company with your gutter cleaning, our technicians are savvy and experienced. They are very detail-oriented and will clean your entire gutters from top to bottom. For that purpose, we have equipped them with every tool they will need. Our professional gutter cleaning service is being used by a great number of people because they, too know how important it is to maintain their gutters in a perfectly clean and working condition. Because this way they are saving themselves from a costly repair of their house, if it gets seriously damaged because of something as simple and easily preventable as clogged gutters. If you, too, care for your home and wish to save yourself the money and the trouble of dealing with water damages, call our company soon and book our professional gutter cleaning service to clean your gutters, and give you a peace of mind. 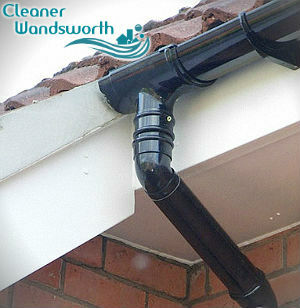 Here in Wandsworth, our gutter cleaning service is known to be the best one and the most efficient one. We have spent many years perfecting our service and training our technicians to work quickly and efficiently. We have also equipped them with modern vacuums and telescopic poles, and special ladders that do not use the gutters for support. Our company is expecting your call, let our professional deal with this at times even dangerous job. We can even clean your roof while we are cleaning your gutters and downpipes.